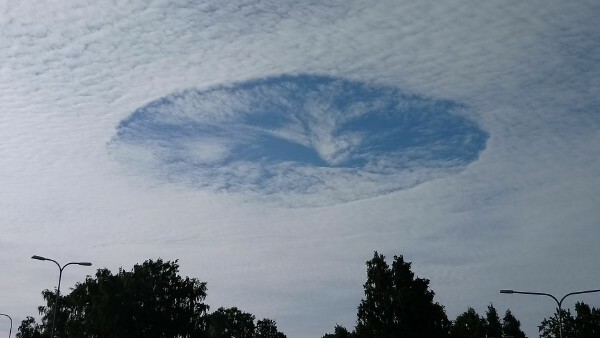 A fallstreak hole appeared over Helsinki in August, 2017. 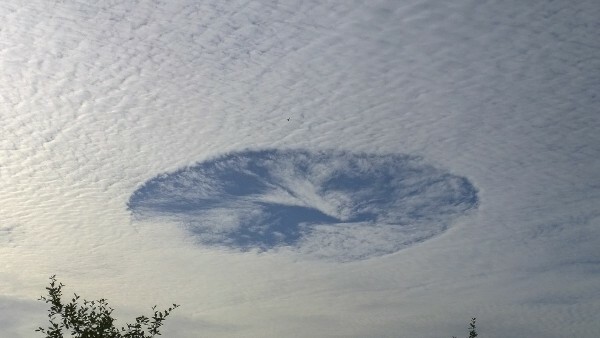 Skypunch is a large gap, elliptical or circular, appear in clouds. It's formed when the water temperature in the clouds is below freezing but the water is not frozen yet. Skypunch over Helsinki from other side.